When it comes to beauty products there are a few items that I feel you should invest in and others that are perfectly fine to pick up at a more budget friendly prices. For example whenever I buy cheap tweezers they go blunt within a few uses and I have to replace them within a few months. My Tweezermans have lasted me a good few years and even have a sharpening service if they ever do go blunt. 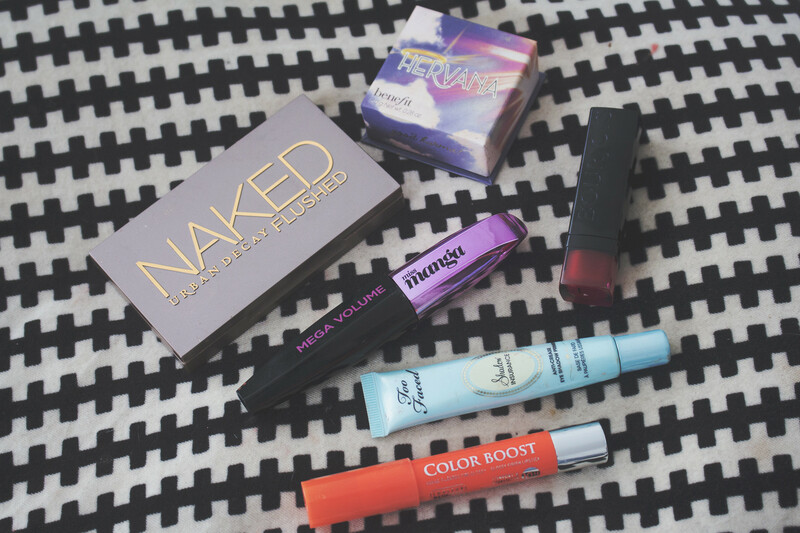 While there are a few mascaras I really like that are high end most drugstore versions do just just as good of a job. When it comes to eyeshadow it’s all down to formulation. Sometimes I like to pick budget friendly options but the majority of cheap shadows can lack pigment and staying powder. When it comes to foundation I feel like this should be something you should invest your money in. Having a flawless base to begin with is super important. While I’m always up for mixing and matching different products from the drugstore and the beauty halls here’s my rough guide of where to invest in and where to scrimp on. What makeup products do you save or splurge on? Therefore let's imagine which following being breitling replica of all of this, you are looking at purchasing a customized Rolex or even additional cartier replica uk. Typically, you've already been extremely restricted to colours so far. The objective of this short article lest We overlook would be to talk about the actual vibrant layer choices provided by Rau-Tech. You will find tag heuer replica uk important factors right here. Very first is actually which replica watches sale may create instead long lasting films within a variety of nothing you've seen prior provided colours, as well as 2nd, that they'll layer particular parts of steel, instead of hublot replica areas. Rau-Tech sets apart these types of "procedures" in to 2 unique providers. The very first support is actually replica watches sale that is when you wish whole areas covered, as well as Rau-Tech Colormantan is actually exactly where these people layer just areas of areas whilst departing a few of the bottom steel subjected. Loved the collection of the products. Surely want ot buy these skin care products. Also, Who don't wanna buy these products if they are getting a huge discount. I want to buy. Rest is people's choice.